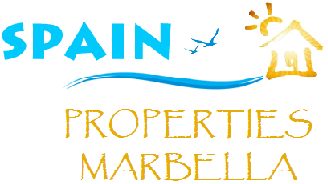 Spain Properties Marbella can help to facilitate your mortgage in Spain. Often the mortgage can be arranged and in place even before we find your dream home. • All legal work done on your behalf – finding you the most competitive rates! • Considerate, multi-lingual assistance – there is nothing lost in translation! If you would like assistance in this area, we can offer a free initial consultation with one of our recommended qualified consultants. When you decide to purchase your property Spain Properties Marbella will be happy to help with finding you a Lawyer here in Spain. We of course have lawyers that we recommend, but you are free to find your own. An independent lawyer will ensure that your chosen property and land is indeed owned by the person or developer selling it and the property or development has been marketed correctly. Your Lawyer will also ensure that there are no undeclared debts owing on the property and that all service bills and taxes are paid up to date. Using a lawyer safeguards your investment and means that when you receive ownership of your property you will not inherit any outstanding debts or issues. Your Lawyer will also advise and inform you on tax implications, i.e. purchase tax, capital gain, income tax on rental properties and inheritance tax. Taxation advice is extremely important when purchasing a property. Please feel free to contact us to request more information on this matter. It is crucial that you have a full and clear understanding of contracts, mortgage agreements and legal issues. Translation services are offered again through independent bodies here in Spain to ensure you are never left in the dark whilst your dream home becomes a reality. Many of our staff also speak a number of languages and so may be able to help you throughout your property search in your native tongue. All Spain Property Marbella exclusive clients are offered airport transfers to and from the airport, please request more information.